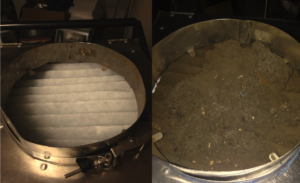 Check out the before and after of our top and most porous “catch” filter in our negative air machine, catching the filth in the air ducts. 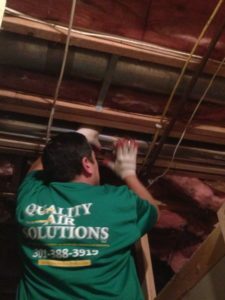 For cleaner air in your Bethesda, MD home, call Quality Air Solutions today! Our technician installed top-of-the-line 26 gauge galvanized steel dryer piping in a Rockville, MD residence. 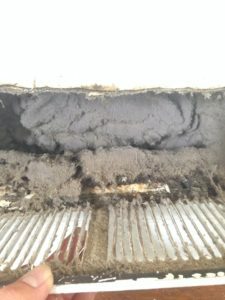 It’s important to maintain the quality of your dryer vent to decrease mold and prevent fires from a clogged vent. 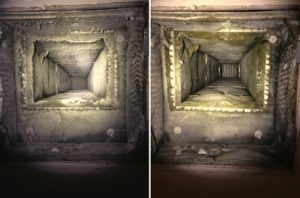 Contact Quality Air Solutions today if you have any concerns about your dryer vent!